Avian Influenza in the US: What Really Happened? Dozens of recent news articles have reported on the facts, findings and frequent updates regarding the recent outbreaks of avian influenza in the United States, writes Prof Guillermo Zavala from the University of Georgia. But rather than counting the confirmed cases once again, or illustrating such cases in elegant maps produced by geographic information systems, we should ask ourselves: what really happened? Could this happen again in the future? And what has to happen to allow this to materialise again? If we can answer these questions, which is admittedly quite a difficult task, perhaps we can respond in a better way should a catastrophic event of this nature ever occur once again. We could even possibly answer the obligatory question: what should we do to prevent and control a similar event in the future? These are not the only key questions that require answers, but they are certainly some of the most important. At this point we can only speculate on the actual mechanism(s) that took place to allow the emergence of the highly pathogenic H5N8 and H5N2 avian influenza viruses (AIVs) that caused the largest and most far-reaching outbreak of avian influenza in the history of the modern poultry industry in North America. Although we don’t have the complete story, research done at USDA/ARS has revealed that what is most likely, is that the H5 component of the novel viruses stemmed from Eurasian AIVs, and that the N8 and N5 genetic components of these viruses originated from North American strains that recombined with their Eurasian cousins; thereby resulting in H5N8 and H5N2 recombinants. However, we are then left questioning just how could this have happened if common knowledge tells us that wild birds migrate primarily North to South and vice versa? How could Eurasian viruses carried by European and Asian wild birds reach North America? Science again has been able to tell us that the migratory routes of some European wild bird species coalesce with the migratory routes of Asian wild birds; and these in turn might come into contact with bird species that migrate North to South, and vice versa along the meridians that cover the American continent. Specifically, the Eurasian viruses jumped from Asia to Europe, back to Asia, and then to North America. Up until this point, the novel recombinant AIVs remained in the wild bird compartment (as far as the American continent). So, for such viruses to reach the commercial bird population, we can see that a primary pre-requisite must be fulfilled: the viruses must be brought into commercial poultry houses. We know that this can happen in a number of ways, and perhaps the initial form of introduction is through wild bird droppings being present in and around commercial poultry farms. It is even possible that small wild birds with access to the interior of commercial poultry houses can also carry infectious viruses, either mechanically or while shedding viruses. Everyone would agree that one of these mechanisms or a similar one must have been the initial introduction event. The next important item to think about, then, is: were there over 200 “natural” introductions from wild birds to commercial poultry farms? The answer, almost self-evidently, is no. Most of the secondary transmission was due to careless movement of personnel, vehicles, equipment, birds, and eggs - to mention but a few. In other words, the outbreak was initiated by wild birds, but it was dramatically expanded by people. This is a bitter lesson that should be learned by all of those who experienced the outbreak, as well as the lucky ones who have not yet come across such devastation. Specific biosecurity operating procedures must be followed from top to bottom: from the corporate office down to the personnel that perform the day to day operations in the poultry industry and its allied businesses. Could this happen again in the future? Worryingly, this kind of outbreak could certainly happen again, and not just once but many times over. Our industry has grown dramatically over the last few decades, and it continues to grow to satisfy a growing demand for affordable, high-quality, and safe sources of animal protein. The larger the industry, the more significant the risks, including outbreaks of disease such as avian influenza. The higher the bird concentration in a geographical area, the larger the potential economic impact of avian influenza will be. Put simply, it will happen again. The question is: did we learn from our recent experiences? And are we better prepared? What has to happen for avian influenza to occur again? For another outbreak of highly pathogenic avian influenza (HPAI) to occur (H5N2 or any other), there has to be a virus in the environment; poor biosecurity must be in place; timely and accurate diagnostic systems must not be available; and industry and authorities should not have a contingency plan. Is this currently the case? Thankfully, no. Every single state with sizable commercial poultry production now has a clear and detailed plan to deal with high and low pathogenic avian influenza. In addition, the local authorities have a set plan and budgets for such a contingency. Every poultry company (at least in the South Eastern US) has held educational meetings with poultry growers as well, to enable everyone to understand how they can recognise the first signs of disease, who to report them to, how to prevent the spread of the virus, and if necessary, what the procedures for quarantine, euthanasia and sanitary bird disposal would be in the event of an outbreak. As per USDA guidelines, every commercial flock must be tested for avian influenza prior to slaughter, and long-lived flocks such as layers and breeders must be tested various times. 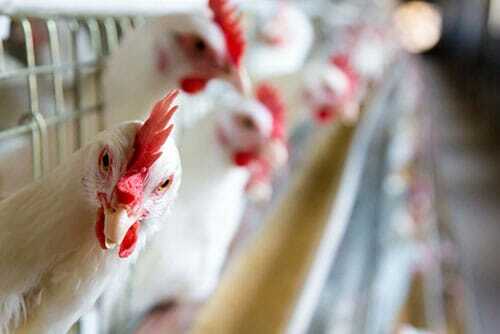 Thus, avian influenza may indeed return, but this time it will face an industry that is far better prepared. The recent outbreak of avian influenza in the US resulted in massive deaths and bird losses due to necessary euthanasia; it caused enormous losses due to lost exports; and it also created a nightmare for primary breeders to be able to ship breeding stock to many other countries that depend on the breeders produced in the Unites States. Needless to say, the scarcity of table eggs after the loss of some 30 million egg layers caused a dramatic increase in egg prices directly to the consumer, and indirectly through the increased prices for industrialised eggs. 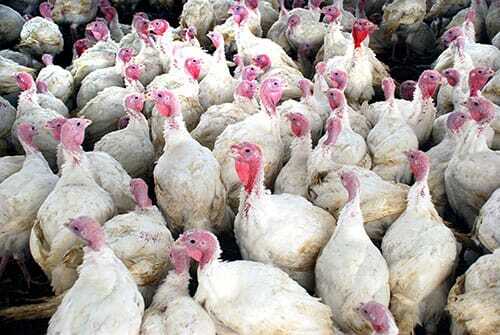 Likewise, turkey products became scarce and more expensive, in addition to breeding stock having difficulty being mobilised between countries. The US industry certainly does not want a repeat of a widely distributed Avian Influenza outbreak. Vaccination has been considered as a tool for prevention and eradication in the event of another outbreak, and it may very well end up being used in the field, but the work horse of the prevention and control program should be a combination of effective biosecurity that is properly implemented and enforced; preparation to promptly recognise the disease; testing for avian influenza regularly and effectively; and designing and implementing a detailed contingency plan for use in the event of another outbreak.